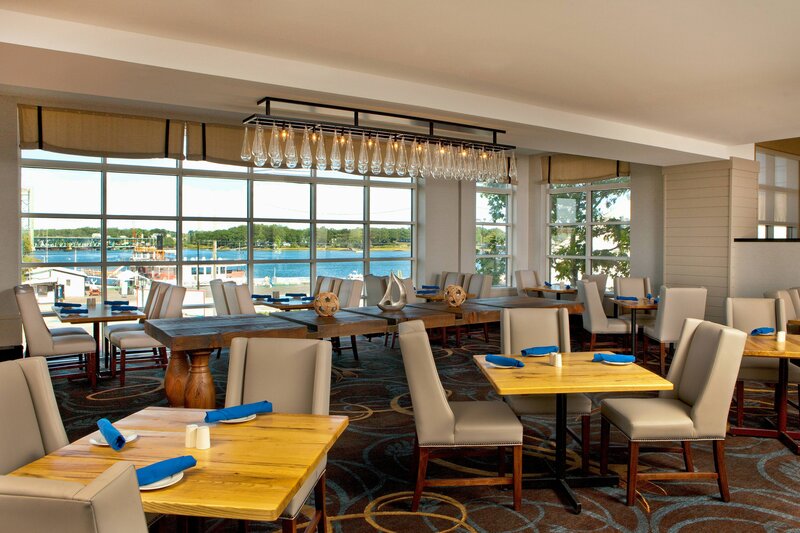 Experience our superb location in the heart of Portsmouth&apos;s historic downtown district on the Piscataqua River at Sheraton Portsmouth Harborside Hotel. We&apos;re only moments away from the University of New Hampshire, the Naval Shipyard, historic attractions, quaint boutiques and more than 70 restaurants. Venture out and sample craft beers at one of several acclaimed local breweries, browse the unique shops of downtown Portsmouth, soak in the sun at one of the area&apos;s beaches or workout in our fully-equipped gym. After a day of exploring, enjoy waterfront dining at Two-Fifty Market, or unwind with a dip in the indoor pool. When it&apos;s time to retire for the evening, enjoy spacious rooms and condominium-style suites with superb amenities. If you plan to host a business gathering or an elegant wedding reception, take advantage of our sophisticated event spaces for meetings and social gatherings. We look forward to making your stay at Sheraton Portsmouth Harborside Hotel an unforgettable experience. Enjoy a casual meal or drinks with family, friends, or co-workers at our Portsmouth, NH restaurant Two-Fifty Market. Bask in the delight of our full-service hotel in the heart of Portsmouth, New Hampshire&apos;s charming downtown district on the Piscataqua River. Discover a peaceful state of mind in our spacious hotel suites offering plush, luxurious bedding and condominium-style amenities. Host your next event in our Grand Ballroom accommodating up to 350 attendees, or enjoy our other flexible hotel venues for small and large gatherings.